In a first for the Asia Pacific region, Care Circles will make it easier for Filipino families who live with autism to connect with the global and local advocacy and healthcare communities. Download press release here. 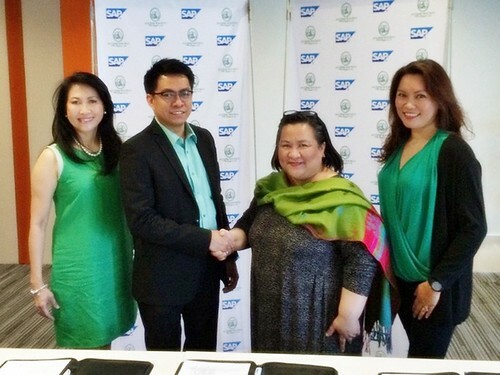 The Autism Society Philippines (ASP) and SAP today announced a pilot project in the Philippines which aims to improve the quality of care provided to those with autism. At the center of the pilot is Care Circles, an SAP service for tablets and smartphones similar to a private social network. This project marks the first national pilot of Care Circles, the first in the Asia Pacific region, and the first outside the United States. Care Circles helps patients and their families connect with advocacy and healthcare programs and providers, which provide best practices in self-care and caregiving. This service helps create healthier lives by enabling communities and empowering families to care for each other. Through the pilot, the Autism Society Philippines will share Philippine-specific resources, expert content and family-centric insights on autism which will be accessible to people using Care Circles. The ASP aims to complement their efforts in family- and community-based rehabilitation with technologies that their network of families, speech pathologists, occupational therapists, physical therapists and developmental pediatricians can use for the care of Filipinos with autism. The ASP is hopeful that with widespread adoption, the solution will help crowdsource answers to questions on prevalence, incidence and impact of autism on the Philippine population. “Autism is a lifetime condition. With Care Circles, the case management of individuals with autism will now be a social experience shared with his circle of ‘guardian angels’ from childhood to their transition to adulthood,” said Erlinda Koe, Chair Emeritus of the Autism Society Philippines. Care Circles helps people learn about a family member's condition, share knowledge, and track daily progress. Care Circles also provides a platform to publish best practices. In addition, Care Circles lets people collaborate through a private journal to take preventative action and track daily progress. Care Circles is available for iPhone and iPad from the App Store. Philippine-specific content from the Autism Society Philippines will be available in January 2015. SAP has made waves in the autism community in April 2014 for its "Autism at Work" program. They envisioned that by 2020, one percent of SAP's global workforce will be on the spectrum. Their paid internship and full employment programs runs in India, United Kingdom, United States, Canada, Ireland and Germany.